Net Entertainment has signed an agreement with the Rational Group for the supply of gaming and casino services for the platform Full Tilt and PokerStars. One of the leaders in producing online gaming facilities, NetEnt Company, made a deal with Amaya Gaming to provide its Full Tilt and PokerStars’ online casinos with some of their online casino games. The cooperation between NetEnt and Rational Group began last year in April when they offered several of their gaming facilities to Full Tilt. Now the company NetEnt is going to do the same for the online casino PokerStars. 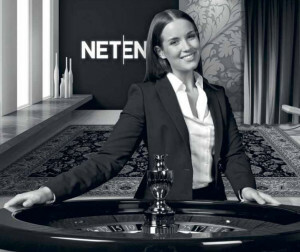 NetEnt is going to expand its activity through the partnership with PokerStars to the markets of Denmark, Germany, Belgium, Italy, Estonia, France, Spain, the UK and Bulgaria. “We are proud to operate with Rational Group, the world’s leading provider of online poker, and are glad to make them the first operator that launched our products in its new casino. By using our games, Rational Group gains new users, who will get an unforgettable experience,” commented Enrico of Bradamante, managing Director of the Malta branch and head of Department of operations in the European market by Net Entertainment. NetEnt has also introduced its Live Casino in Italy in collaboration with MicroGame. The company will supply a number of websites, working on the platform MicroGame, with Live Casino facilities, including blackjack and roulette. These are real-time casino games broadcasted 24 hours a day from NetEnt’s studio in Malta. Enrico Bradamante told, “MicroGame is a great partner for NetEnt. The company has a strong position on the Italian market of online games that is why it became our partner in Live Casino’s launch in Italy. Italy remains a key market for the sale of products by NetEnt. I hope for the opportunities of our online games and I am very happy that we succeed in the Italian market of Internet entertainments”. If you want to try some demo NetEnt slots, please visit our free slot machines page: Starburst slot, Lost Island slot etc.